The New School library, located in the Lower School near the Tinkering Studio, provides a warm and welcoming space that promotes a love of reading and lifelong learning. Students are taught an appreciation for literature through group story time, dramatic readings and group discussions. Each year, the library curriculum provides students with new skills that build upon those acquired during previous years. Resources and activities representing a diversity of experiences and skills assist the students in becoming proficient users of information. 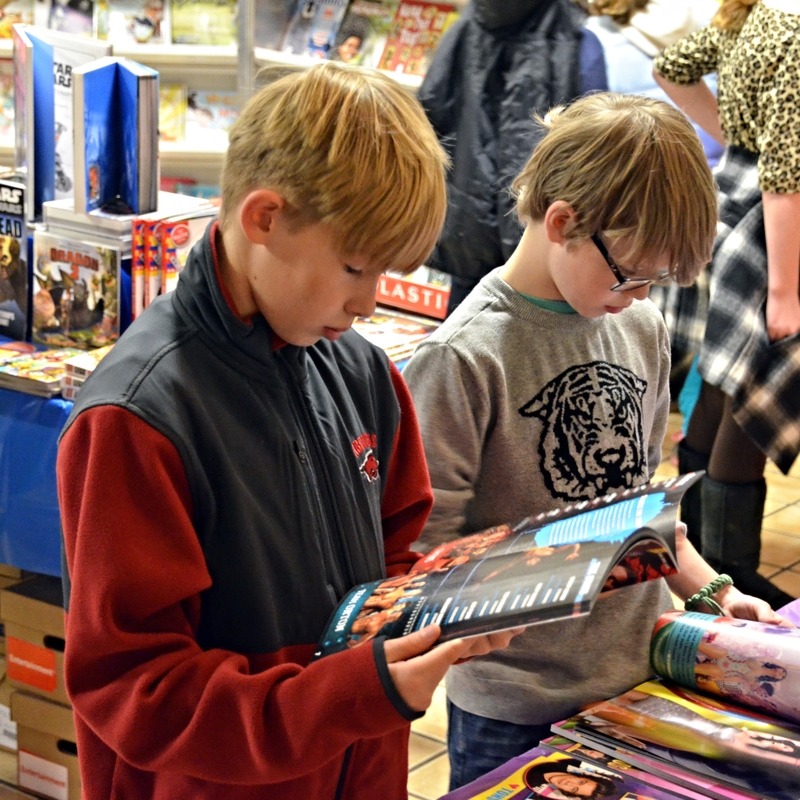 The library has other wonderful things to offer students and families, such as an annual book fair, author visits, and the opportunity to participate in the Scholastic summer reading program. Our student participation in the summer reading program is exceptional. Most recently, The New School received an award for the Best in State in Arkansas — our students had the most minutes read in the state of Arkansas over the summer! We feel the value of reading for pleasure and the appreciation and enjoyment of literature is critical for lifelong learners.